Remote control with bike tube fix. My colleague Dries sent me a link to a cool sustainable product: plattfuss, rubber bands made of recycled bike tubes. The funny thing is, that we already use bike tubes as rubber bands at home! 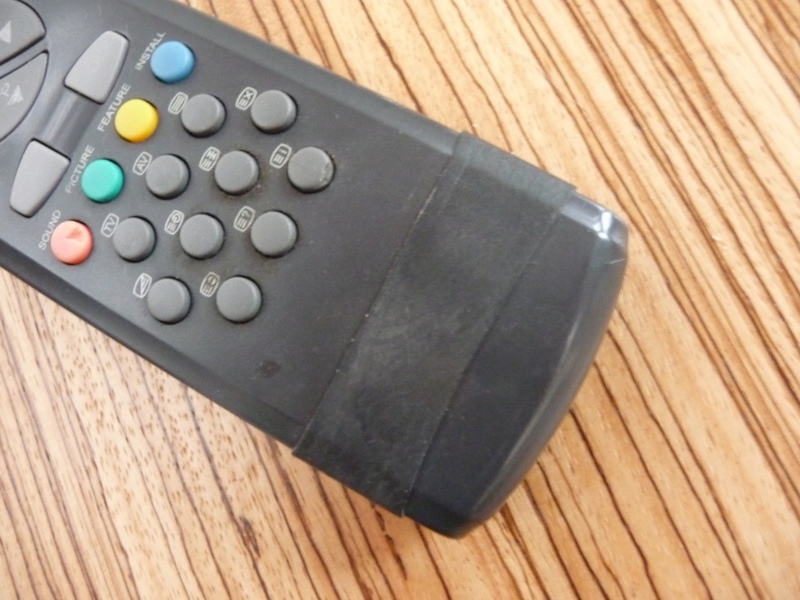 The remote control of our tv. tends to fall apart every once in a while, so Eise cut a piece of an old bike tube to keep the device together. Easy as that, and even quite aesthetic. This also reminds me of my father, who used to mend flat bike tires by cutting out a piece of an old bike tube to glue on the punctured tube. I’m not sure whether he still mends his tires like this, or whether he uses those prefab patches now.